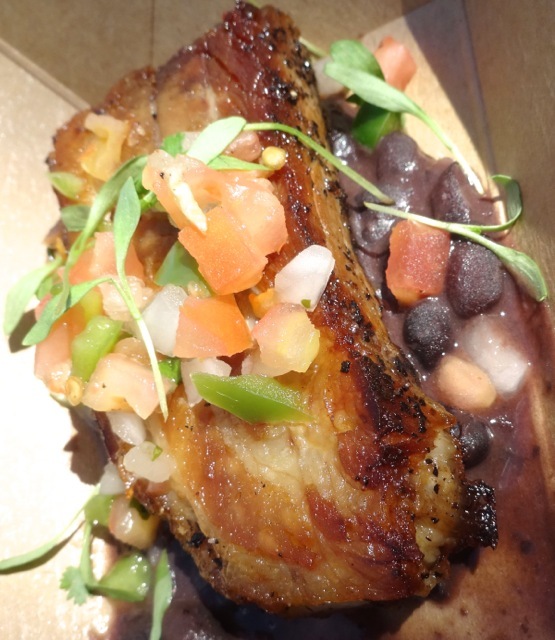 We didn’t quite enjoy the Pork Belly from Brazil last year, we wished for a more crispiness. It was disappointing because we really like pork belly. This year, it wasn’t disappointing at all. 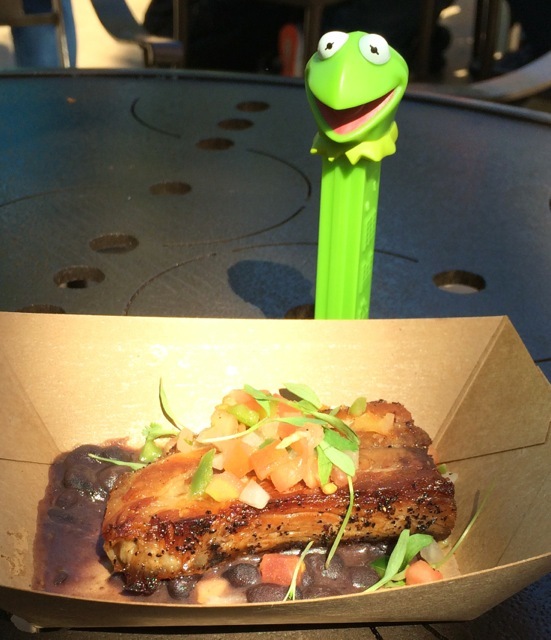 This may be the best thing we’ve had so far at the Epcot Food & Wine Festival this year (definitely it’s in our top 5!). This whole dish worked so well together. The pork belly was crispy and hot (not too hot to eat, but you get so accustomed to things at the Festival being served at poor temperatures). The flavors were very good and it paired nicely with the Kaiser Brewery Xingu Black Beer (suggested pairing). That said, we aren’t going to run out and get a six pack of the beer to keep at home, but it was better than we remembered. This is really tasty. 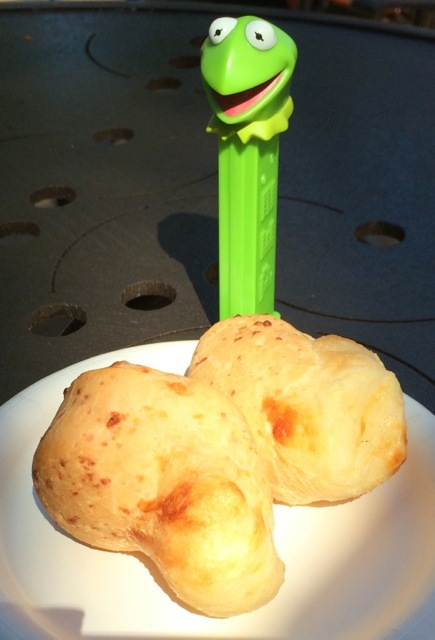 It’s made with tapioca flour instead of wheat flour, so it’s gluten free. 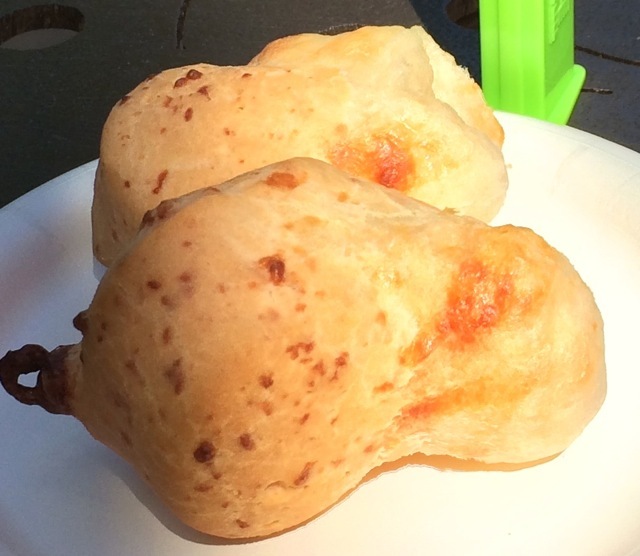 The cheese bread is moist and gooey (yum! ), very flavorful. It was also served hot! This was so good, I came home and looked up the recipe. If I didn’t have a self-imposed NO-BAKING rule in the kitchen, I think I’d be whipping these up regularly. 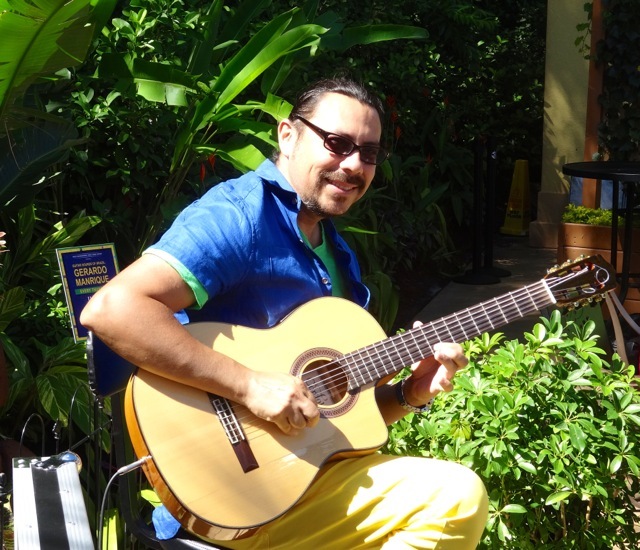 We were also pleased to discover that Gerardo was playing music while we were at the Brazilian Marketplace. This was a very nice extra, he was quite talented and the volume wasn’t overwhelming (even though we were seated right in front of him).